A 38-year-old man in St. Petersburg, Florida, was killed last month by an explosion from an electronic cigarette which caused a fatal projectile wound to his head and burns to his body, according to police. That’s just one of several global reports detailing injuries, most often burns, caused by the electronic smoking sensation devices. E-cigarettes and vaporizers come with complex risk management and insurance needs. They burst on to the scene in 2007 and were quickly lauded as a ‘healthier’ and ‘cooler’ alternative to traditional tobacco cigarettes. Insurance carriers quickly embraced thenewfound growth in the smoke and vape shop market as a new revenue source. But as insurers became more aware of the complex risks and potential claims associated with the electronic smoking devices, they withdrew from the market and the great fire of interest quickly whittled down to a few smoldering embers. 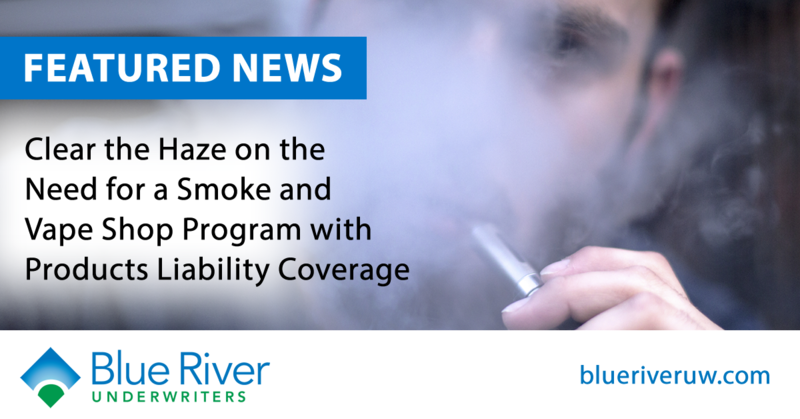 One firm dedicated to fully understanding the exposures in the smoke and vape shop market by working closely with industry providers is Blue River Underwriters, a specialty program underwriter owned by risk solutions and services provider, Breckenridge Insurance Group. Blue River offers tailored smoke and vape shop coverage as well as smoke and vape products liability to cover all the risks associated with the smoking craze. “There are two key exposures at smoke and vape stores: theft and products liability,” said Jeff Vick, vice president, underwriter, Blue River Underwriters. “Smoke and vape stores are often more high-end and intricate than traditional tobacco shops. They’re filled with expensive glasswork that’s used for smoking, which makes theft one of the greatest exposures. Product liability insurance is also key for smoke and vape shop owners. 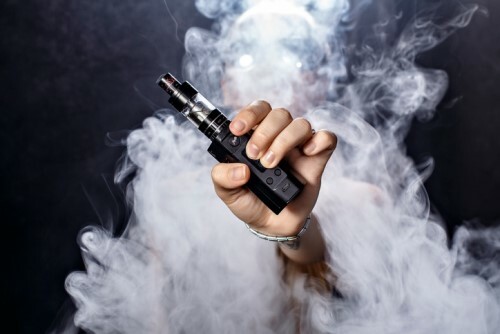 The stories may sound like revved up media scandals, but the fact of the matter is, e-cigarettes have been known to overheat and explode, particularly if they contain faulty batteries. If an electronic smoking device explodes, attorneys will go after everyone in the distribution chain until the claim is paid, from the manufacturer to the importer to the distributor. The liability tends to fall heavily upon the distributors, making it vital for smoke and vape shop owners to consider product liability insurance, Vick explained. Those without product liability insurance could face potentially business-shattering claims.